Seven Worlds, Nominee for Best Adventure of 2018! 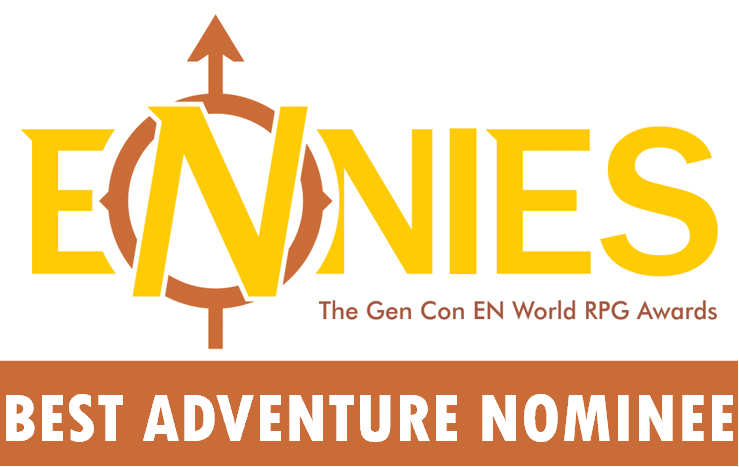 Seven Worlds has been nominated for an Ennie Award for Best Adventure of 2018! Want to know more about the Campaign Book that was nominated for the award? Check out this short, chock-full-of-spoilers Campaign Book Overview PDF, or check out the spoiler-free Campaign page. Want to try out Seven Worlds for FREE? Download the FREE Seven Worlds Test Drive PDF to begin your adventure! Ready to buy Seven Worlds? Visit our Store page for more info.